The sights and sounds of Christmas are everywhere I turn: websites, shopping malls, mailboxes, and in boxes. It is a struggle to focus on anything else, especially as an anywhere worker. Every cafe and coffee shop I visit is saturated with decorations, holiday music, and reminders of the gifts we should buy. I struggle not to get caught up in the excess that starts much too early and results in holiday burn out weeks before the actual events. Then, over an eggnog latte (home made), I had an idea: What if instead of fighting it, I went with the flow of the holidays? Is there a way to sprinkle just a little of the holiday spirit into the work tasks I need to accomplish? Sprinkle some holiday spirit? What does it mean to have holiday spirit? Certainly it’s nothing like the current commercialized holiday experience. So I thought back to what it was about Christmas that was so wonderful when we were children: decorating the tree with the family (it was an event complete with eggnog and Christmas music); helping mom make dozens and dozens of cookies (and eating the ‘broken’ ones); wrapping gifts with our unique creativity as we watched ‘A Charlie Brown Christmas’ (still one of my favorite specials.) There were many fond memories. But before all of those wonderful events I remember writing my letter to Santa. So this year, I decided that it was time to revive the Dear Santa ritual, with a little twist. 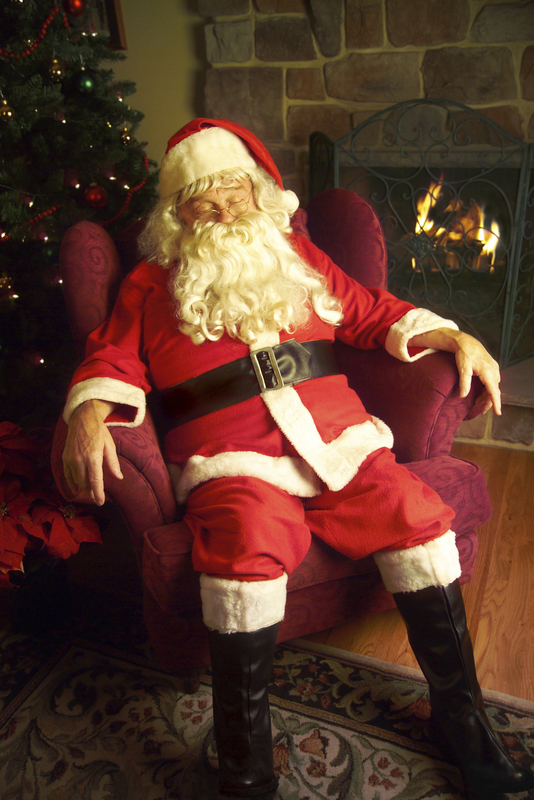 I decided that this year I’d mash together my business planning with my Dear Santa list. I began by bringing the future into the present. I thought about the one thing I wanted to accomplish next year. Either in my life of business or business of life, but only one big goal. Big goal for 2011: Inspire as many individuals as possible in taking action with purpose through writing, executive coaching, advising, and consulting. Give yourself the gift of patience. Be patient when you are learning a new behavior. Be patient with your co-workers. Be patient with your boss. Be patient with your family. Be patient with your business. Be patient as you work on being consistently authentic, good (quality), and kind. Santa is watching you (and me)! What would be your one wish from Santa this year? I’d love to know. I learn so much from you.